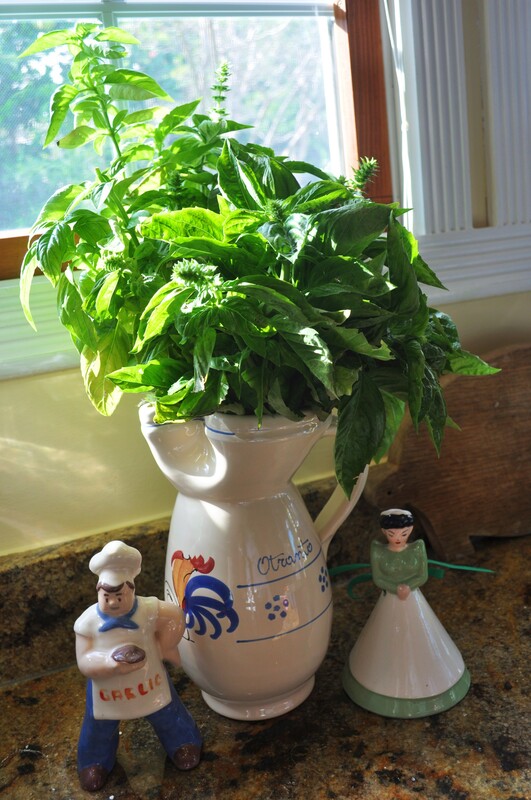 Pesto: Summer’s Gift | The Sassy Spoon: Fun Food! 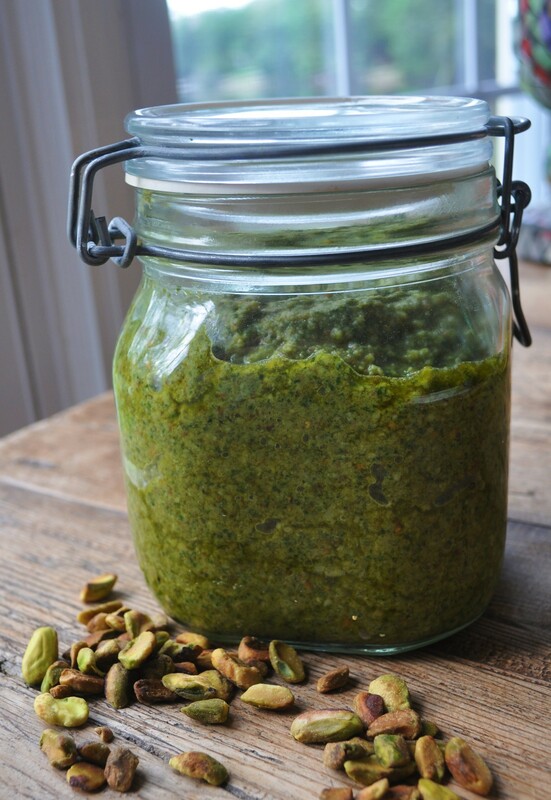 There are few things that can compare to home made pesto. It evokes the essence of the garden, all of that basil and garlic… but it also has a richness and depth because of very good olive oil, lots of Parmigiano Reggiano and most importantly pine nuts and pistachios! As my basil plants dictate (it takes ARMFULLS of basil), I make a big batch and freeze it. It does keep well in the refrigerator too, at least 6 weeks. I never use a recipe, but I paid attention this time to the amounts so you too could make some of the best “green sauce” in the world. If you have a smaller amount of basil, you can divide this recipe. 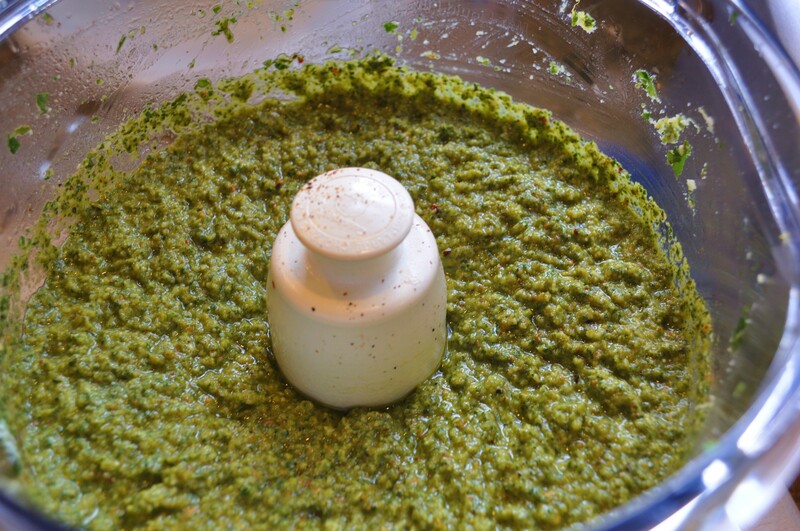 Just remember to taste the pesto for balance and seasonings. It should have a little tang to it and also be rich and slightly crunchy. Some people use other nuts, such as walnuts, but I promise nothing can compare with the combination of pine nuts and pistachios. The are expensive, but really worth it in this instance. And a little pesto can go a long way too! 16 cups of basil leaves and flowers if you have them. I sometimes add parsley and arugula to the mix, but the predominate flavor needs to be basil. You will need a food processor for this. If you do not have one, a blender works, but you will have to do it in smaller batches. I have a very large Cusinart, so I do a big batch at one time. Get all ingredients in place. 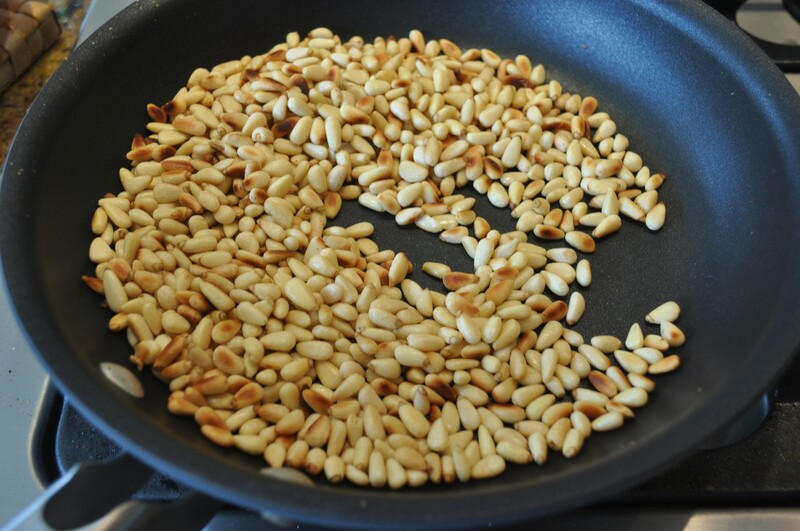 Toast the nuts in a dry skillet. Do not crowd them too much. I did two batches for this recipe. 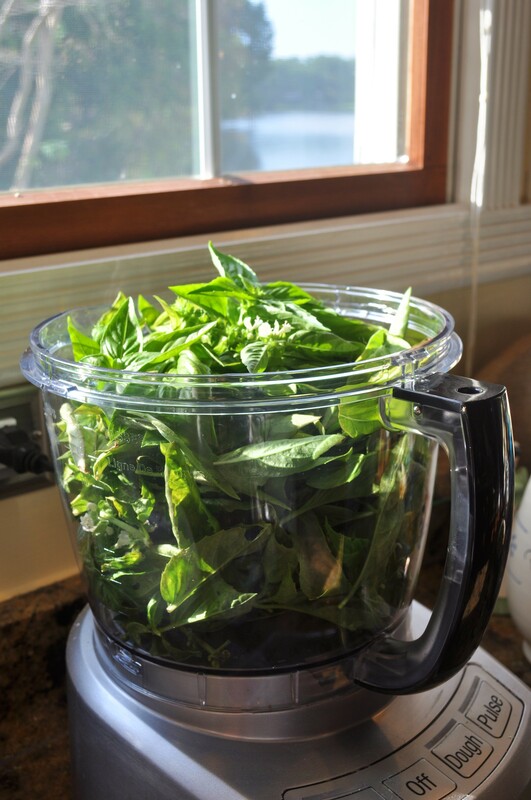 While the nuts are cooling, fill the processor bowl with basil, slightly packed, but not too tight. You should have some basil left over, this will go in after the first part is ground. Add the salt, pepper, red pepper, 1 cup of olive oil, garlic, all of the lemon zest and juice. Pulse till the basil is reduced in volume, add the rest of the basil and more oil. The oil and the lemon juice allow the basil to be ground down into a paste. 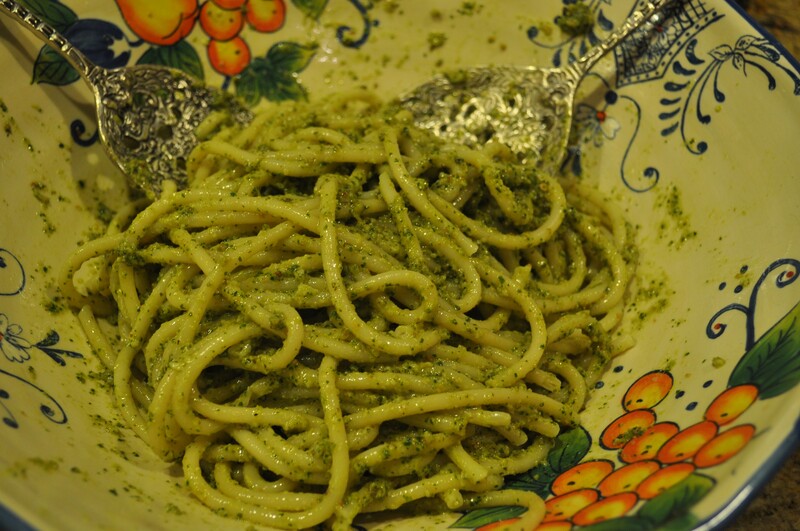 The lemon juice is used for flavor, but also to keep the pesto bright green. Add all of the nuts and process again, adding olive oil as needed to make the paste. Add the cheese and more olive oil as needed. It should be a thick paste, but one that easily drops from a spoon. Once you have it all ground up, taste, add more seasoning if you need it. Freeze in containers the size that you are likely to be using it. I find that about 1 cup servings are good for two people. 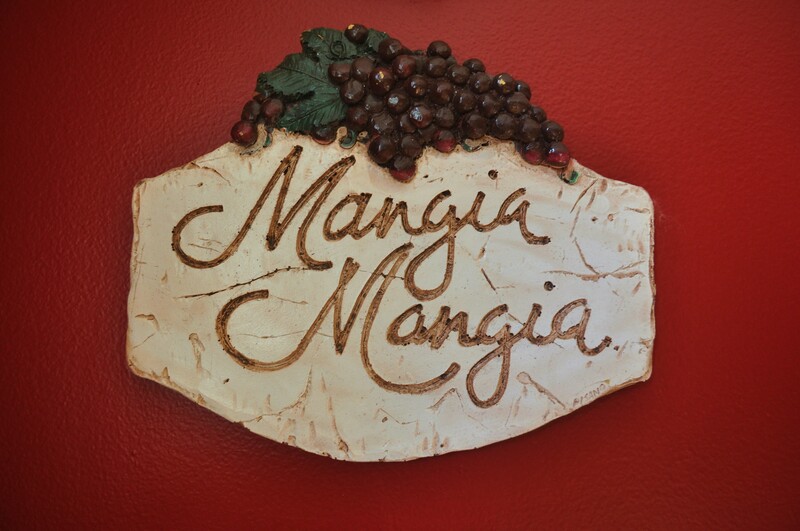 This is great on pasta, pizza, fresh mozzarella, ricotta, crostini, chicken, steak and even on scrambled eggs. I also like to dip bread sticks in it. However, my favorite way to eat it is over pasta. I will try this! This is making me hungry, and it is time to harvest the basil! Sometimes we use macadamia nuts, pistachios sound really good. 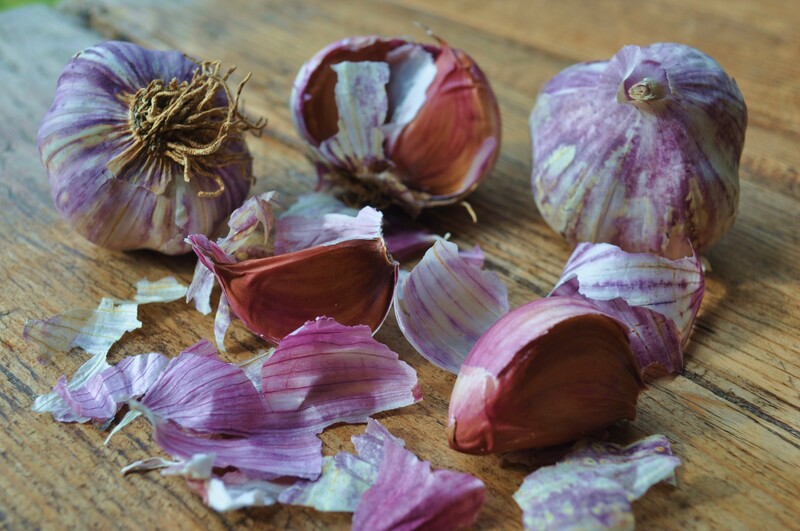 We also use a hard goat cheese because of bovine lactose allergy… Never combined pine nuts with the other nuts. Thanks, Devany! Yummm! Love the beautiful pictures too!